Rob, the founder of BPM Fit, was looking to build a unique new fitness experience. 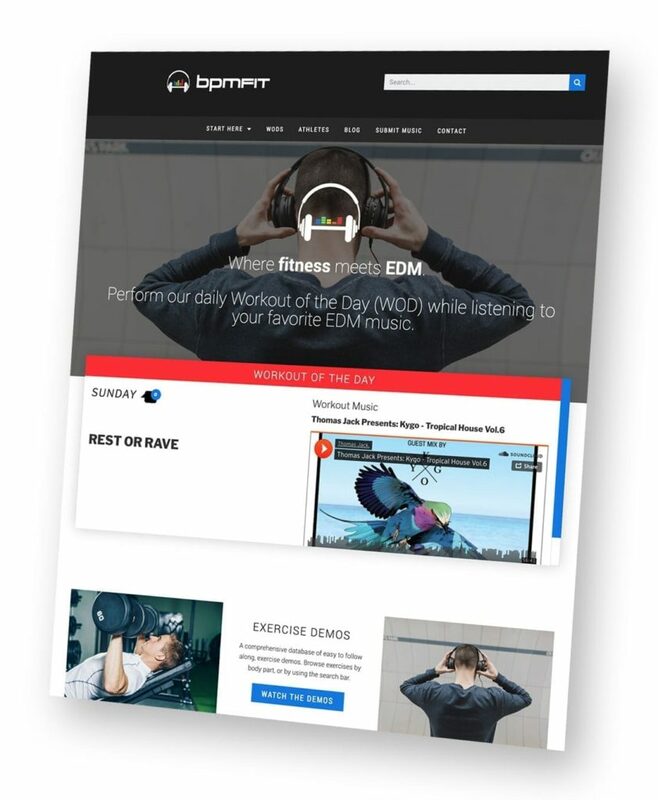 By combining crossfit-style workouts with EDM music, BPM Fit is the one-stop-shop for EDM fans looking for a solid workout. This new and totally unique proposition called for a very unique website, as well. The BPM Fit website was crafted from the official Crossfit website. Since the major focus of the business is the WODs (workouts of the day), the website needed to be built to support the ability to creating many workouts and have them individually post each day. Check it out! 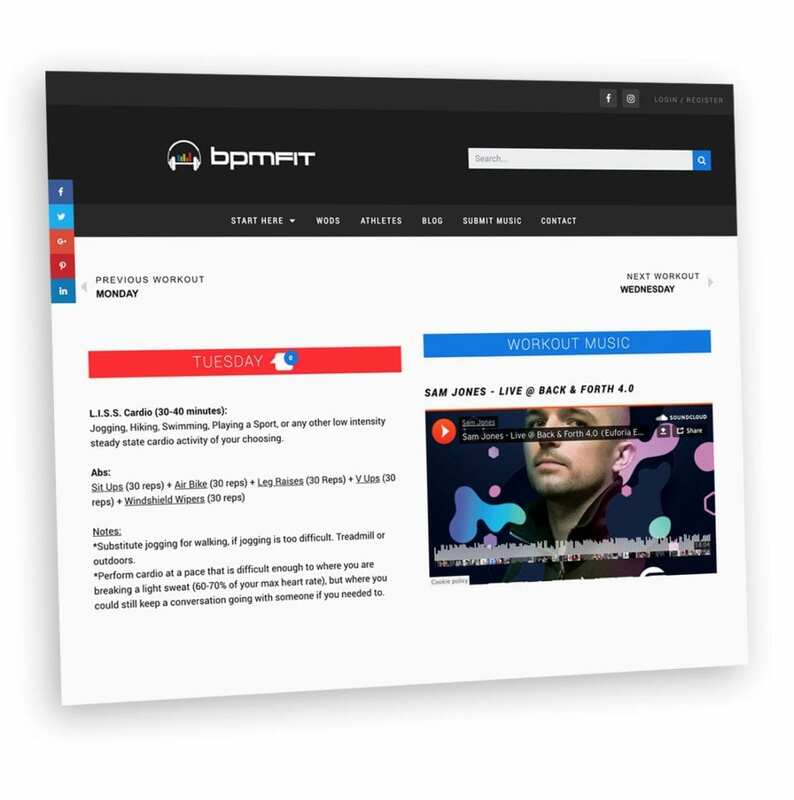 If you’re at all familiar with EDM, you know that we needed to ensure the website was able to live up to that kind of energy! I wanted to utilize all of the colors within the logo, but needed to make sure that the website as a whole still exhibited a sense of professionalism and simplicity. We chose to stick with the main colors of red & blue, using the other colors as secondary accents throughout the site. The website was built to be fully manageable without my assistance. Rob, the founder, is able to quickly and easily load up the workouts to automatically post every day. By providing the basic workout details, along with a Soundcloud link to a featured set or playlist, every single day provides a unique workout and experience for EDM fans.